Building and maintaining your Target Schools List is a key part of your recruiting journey. Not only is it a great way to collaborate with your coaches, but it can also help you get more views from college coaches. One feature we offer to college coaches is the ability to search for recruits based on athletes who have indicated they are interested in their programs. When college coaches search for recruits, we order athletes based who meets their academic and athletic criteria and also provide them the option to cross-reference which athletes have added their school to their Target List. 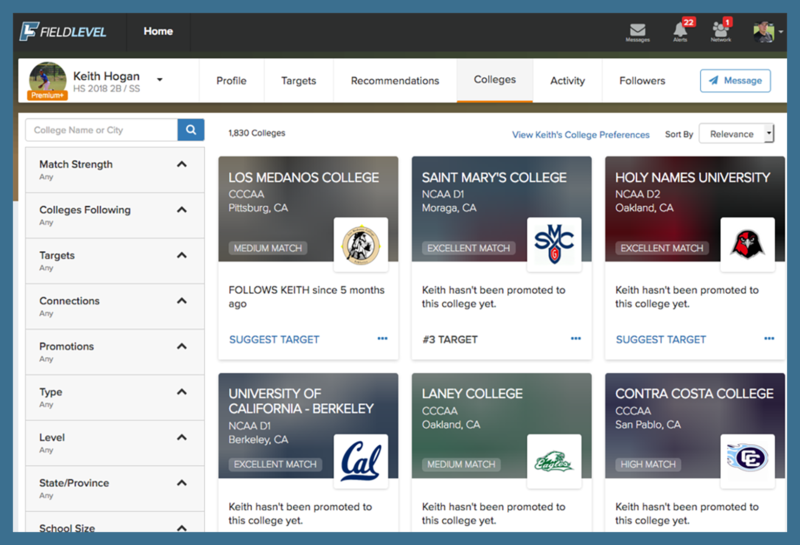 Your Target Schools List can be viewed by your coaches and help them understand which schools you're interested in. 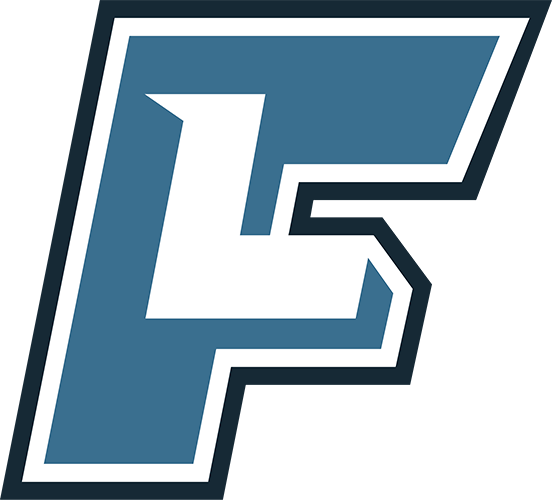 Furthermore, your coaches can promote you to any schools in your Target Schools List if they are connected with the college coaches at those programs. This allows you to get more views from schools with which you are interested. Be sure to talk to your coaches about your Target Schools List regularly and get their feedback on any changes you should make. How Many Schools Should You Target? We recommend having at least 20 schools on your Target Schools List, including options at multiple competition levels (e.g. D1, D2 & D3). Even if you only want to play at one specific level, it's important to start broad, refine your list over time, and keep your options open during the recruiting process. How To Identify Schools to Target? To help you identify your targets, we've provided you a College Search Tool to research schools using specific criteria such as school size, tuition, location, area of study, and more. Athletes that are upgraded to FieldLevel Premium receive additional search filters, including match strength. Your coaches can suggest colleges for you to add to your Target Schools List. You can find your coaches' suggestions at the top of your Recommendations area. Your coaches also have access to the College Search Tool. You'll also be provided Recommendations of colleges to target based on your College Preferences, your coaches' projections, and activity from college coaches on FieldLevel. 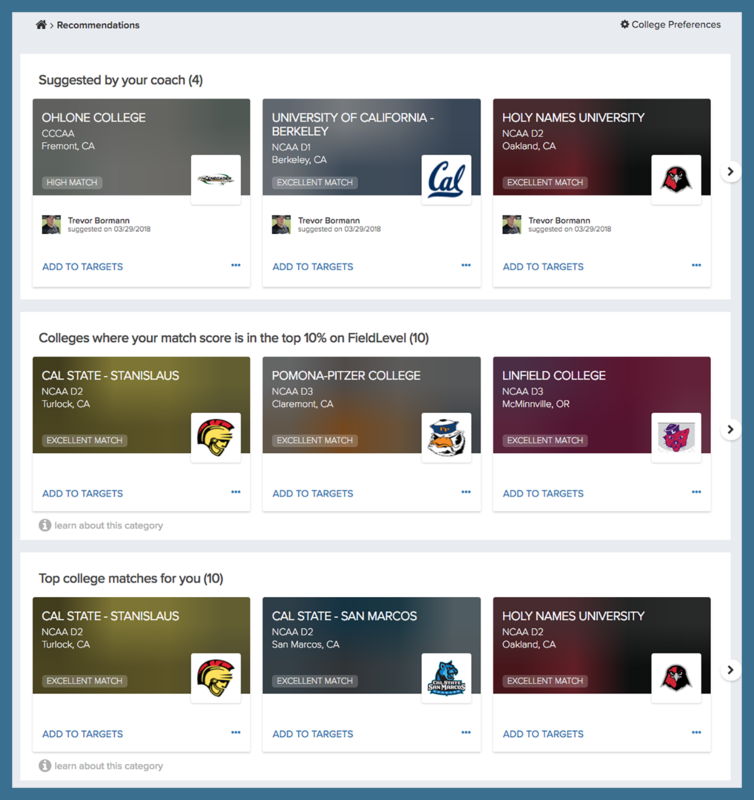 Using this information, you receive a match score for every college program on FieldLevel and your matches can be seen in your Recommendations section. Note that these Recommendations can only be seen by athletes upgraded to FieldLevel Premium.